Soy Sauce. Not so very long ago you could simply buy a bottle of ‘soya sauce’. There were, in fact two other sauces available, produced by Conimex and called ‘bentang ketjap manis’ and ‘bentang ketjap asin’. You did not have to be a genius to work out that ‘manis’ meant ‘sweet’ and ‘asin’ meant ‘salty’. I am not sure that it occurred to any of us that bentang ketjap was simply Indonesian soy sauce and that sweet and salty were two preferred Indonesian varieties. The point I am making is that each country in Asia has its own version of soy sauce made from soy beans. They are not interchangeable. Using bentang ketjap manis in Japanese cooking instead of Japanese shoyu is absolutely unthinkable. Chinese soy sauce is not a convenient catch all for all other Asian countries’ versions of soy sauce, although I found Korean soy very similar to Chinese soy in some cases, and more like Japanese shoyu in others. Not surprising, I suppose when you consider where Korea is situated. The problem is further complicated by the fact that every Asian country has different kinds of soy sauce. China, Korea, Japan, Thailand and Vietnam all have dark and light soy sauces. Those of Thailand and Vietnam are fairly interchangeable, as are those of China and Korea. I am not sure about Malaysia. Geok uses Chinese soy sauce, but then her parents were Chinese. I suspect that many Malays use a soy sauce similar to that used by the Indonesians, in which case the two main kinds are sweet and salty, rather than light and dark. 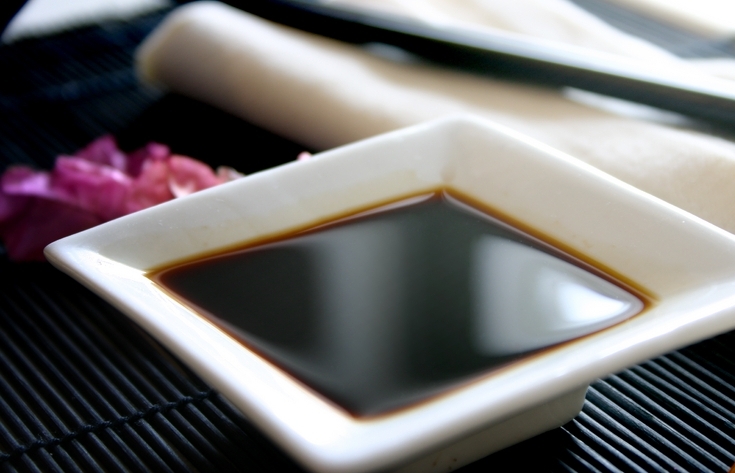 As a general rule, use light soy sauce with seafood, poultry and white meats, dark soy sauce when cooking red meat.